PT Astra International Tbk - Astra International or referred to as "Astra Group" is a large and solid business group in Indonesia with strong business focus in 6 pillars; Automotives, Financial services, Heavy equipment, mining and energy, Agribusiness, Infrastructure, logistics and others, and Information technology. Astra Group was first established in 1957 as PT Astra International Inc. In 1990, the Company conducted its initial public offering (IPO) on the Stock Exchange. The Company has been listed in Indonesia Stock Exchange (IDX) and its shares are traded under stock code of “ASII”. As per December 2015, Astra Group is 50.11% owned by Jardine Cycle & Carriage Limited Singapore and 49.89% by other public. 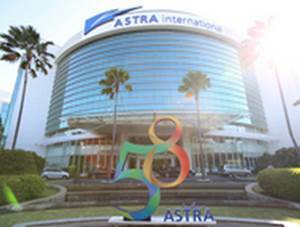 Astra Group is based in Jakarta and now supported by 191 subsidiaries/affiliates/jointly controlled entities as well as more than 227,099 employees. In term of financial performance, Astra Group’s total net revenue in the first half of 2016 (1H 2016, ended in 30 June 2016) reported 5% down, from Rp 92,505 billion in 1H 2015 to Rp 88,208 billion. Astra Group’s net income declined by 12% to Rp 7,116 billion from Rp 8,052 billion, according to PT Astra International Tbk business update (1H 2016) as cited by JobsCDC.com. Background in Bachelor Degree (S1) from Accounting, Finance, Industrial Engineering, Computer Science/IT, and Mathematics/Statistics. Both fresh graduate and experienced (maximum 2 years) candidates are welcome to apply. Fluent in English; both in oral and written. Demonstrated good analytical thinking and interpersonal skill. Willing to travel around Indonesia with high frequency. Background in Bachelor Degree (S1) from all Economic disciplines, Psychology, Law, Industrial Engineering, Communications, and Business Administrations. Have strong interest in the field of Human Resource. JobsCDC.com now available on android device. Download now on Google Play here. Please be aware of recruitment fraud. The entire stage of this selection process is free of charge. PT Astra International Tbk - Fresh Graduate AR Trainee, HR Trainee Astra Group October 2016 will never ask for fees or upfront payments for any purposes during the recruitment process such as transportation and accommodation.